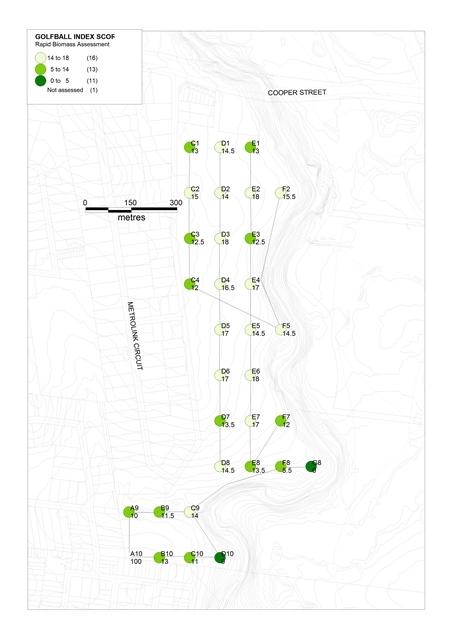 The results of Merri Creek Management Committee's (MCMC) 2014-5 Golden Sun Moth survey are now available. 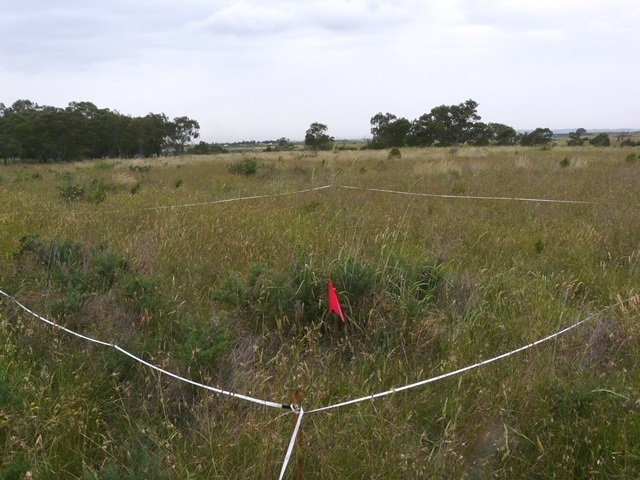 The surveys were conducted at Cooper Street Grassland (Bababi Marning), which is a native grassland reserve adjacent to Merri Creek in Campbellfield. Since 2012, a Communities for Nature Grant has allowed MCMC to conduct annual Golden Sun Moth searches and vegetation surveys to help us understand how to protect the habitat of this critically endangered, day-flying moth. See the report summarising the survey results here. The 2014-15 flying season saw an exciting big jump in moth numbers with 262 moths observed over the two survey days; the strongest emergences recorded at this site since 2008. In contrast, only four moths were recorded during the 2013-4 summer.The strong emergence appears related to seasonal variation and vegetation changes. 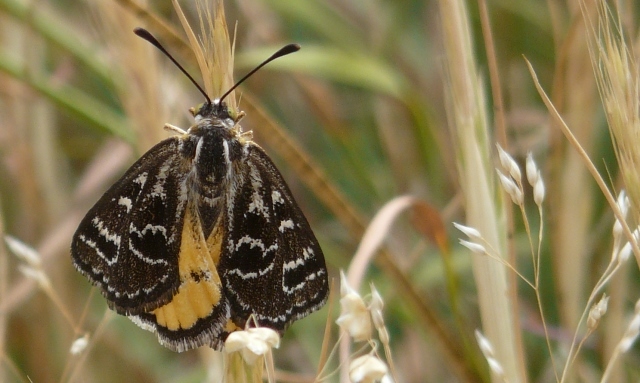 Golden Sun moths favour areas of grassland with low levels of grass and leaf-litter. 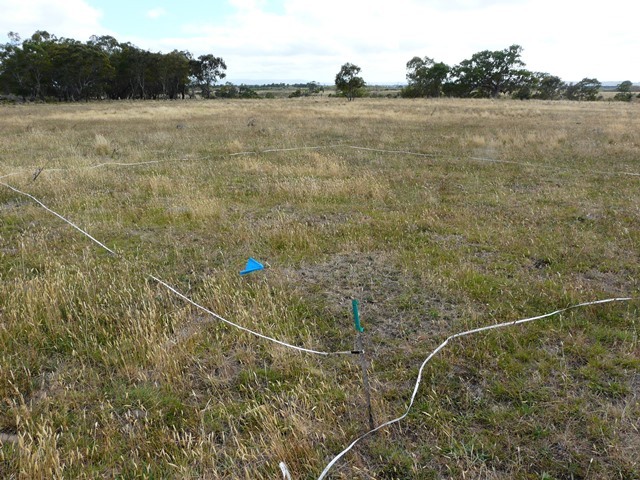 Vegetation assessments, conducted with the assistance of volunteers, show that vegetation cover was much lower in 2014-15 than in previous years, due to a combination of ecological burns, high levels of kangaroo grazing and droughty conditions. 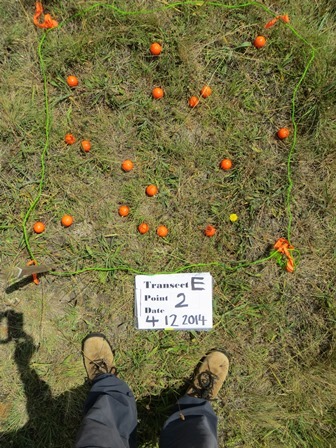 Victorian National Parks Association volunteers assisted MCMC to conduct a ‘Golfball Assessment’ of vegetation cover. This simple and fun method resulted in a map (see below) showing that much of the reserve had low biomass levels. An important finding from the results is that the increased extent of low biomass areas did not attract moths away from traditional ‘hotspots’. This suggests moths stick to favoured parts of the grassland, or perhaps they will only move into new areas if low biomass is maintained over successive seasons. Of course, there may be other factors influencing moth distribution of which we are not yet aware. Our final year of surveying in 2015-16 summer will hopefully enable us to consolidate these findings. Logisitical constraints meant community members did not attend the moth surveys themselves in the 2014 season, however community volunteers did assist monitoring the vegetation characteristics.Information gained in this project will help land managers apply appropriate management to reserves containing Golden Sun Moths. Sign up to take part in a Golden Sun Moth vegetation assessment or moth Survey this summer. Golf ball analysis, how many balls you can see ? The number gives an index of the amount of grassy cover. (right) Results of Golf Ball Analysis. The paler circles show where the reserve has 'very low' biomass where 16 or more balls were visible.